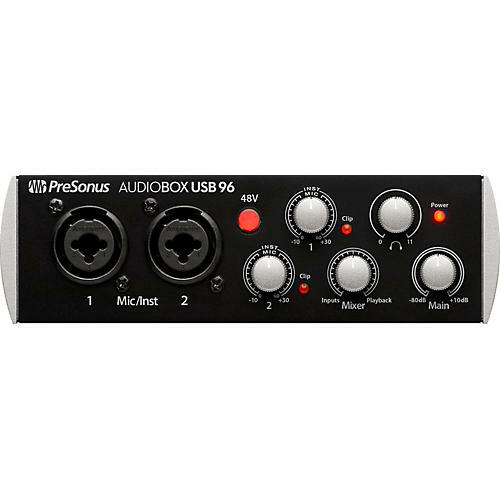 A great choice for mobile musicians and podcasters, the 2­-channel AudioBox USB 96 is bus-­powered, compact, ruggedly built, and works with virtually any PC or Mac recording software. It boasts high­-performance Class A mic preamplifiers and professional­ quality, 24-­bit, 96 kHz converters. And it comes with PreSonus’ amazing Studio One 3 Artist DAW software for Mac and Windows.